Behavior problems are best treated with prevention and experts agree that to grow into a well-adjusted adult, puppies between the ages of 2 to 5 months, need to be socialized to all the things that they will encounter during their lives. They also need to be mentally stimulated with training, learn manners, behave appropriately with other dogs and be well exercised! But who has the time to do all of this?! WE DO! Enroll your puppy in Puppy Prep School, where he will spend his day playing in camp, be given many socialization opportunities and be actively trained as part of our specialized program where he will learn good manners and necessary life skills. Puppies will be taught foundation behaviors -”sit”, “down”, “wait”, “come”, “leave it”, “doorway manners” and “loose leash walking”. Additionally, each puppy will learn self control, acceptance of handling, not to puppy nip, how to “play nice” with other dogs, and even how to be alone! Don’t leave your puppy home in a crate all day, wasting valuable brain development time! Puppy Prep School is a month-long program and will be ‘in session’ three times per week. The 4-week duration of our program can be extended to meet your day camp and training needs. Included in the program are: 12 days of specialized puppy camp; individualized training sessions (over the course of 4 weeks); and private meetings with a trainer (i.e., initial consultation, progress meetings and closing session); discount on additional camp days and a Complimentary Puppy Kindergarten or Jump Start Class. For pups ages 2 to 6 months. Cost is $1,500 for the 12 sessions. Call us for more information! What is Day Training? It is a specialized program for adolescent and adult dogs. With today’s busy schedules, not everyone has the time to devote to training their dogs to be well-behaved companions. Training takes skill and the patience to practice until the behavior is well-established and reliable in different situations. Our trainers can do it for you! We will create a specialized program to fit your training needs. Your dog will attend day camp and have scheduled training sessions throughout the day with our skilled trainers. While you are at work, school or play your dogs are exercising and learning! We will work to establish the behaviors that you want, reliably, efficiently and positively. Throughout the program, you will schedule sessions with our trainers to help you to use the skills your dog has learned. Because each program will be individually designed, the duration will be determined by your training goals. 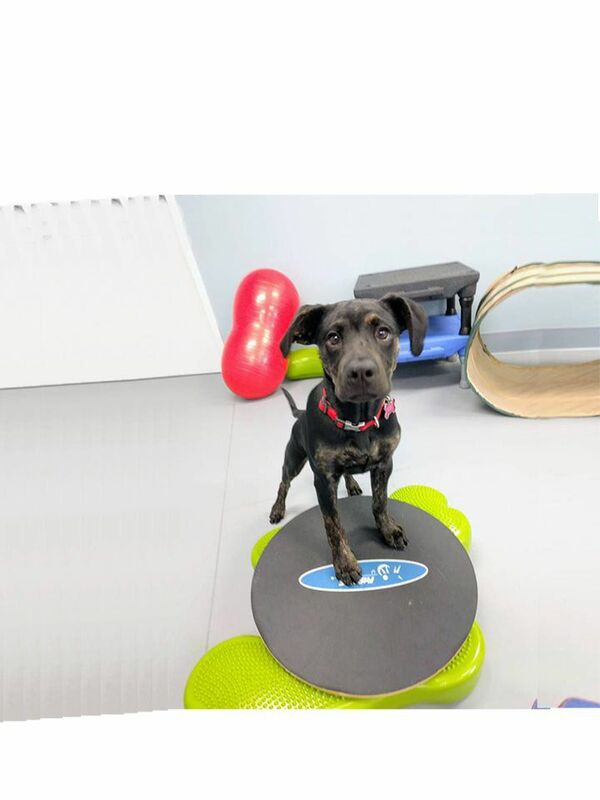 Call us for more info and to have a program designed for your dog! Cost is $110 per day for camp and training.